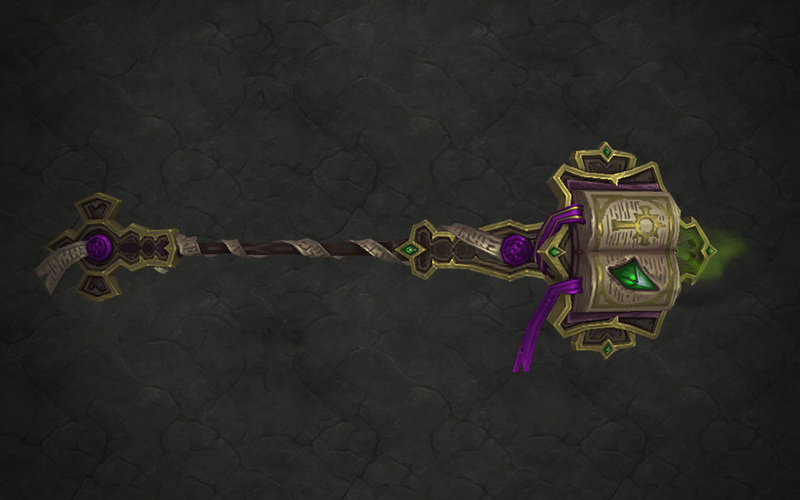 You have become one of the greatest Priests in Azeroth, deserving of a weapon not only with power—but with a name. Priests have three distinct specializations: Discipline, Holy, and Shadow. Each brings with it a unique identity that is reflected within the Artifact weapon choices. Discipline Priests stand between the light and shadow—wielding both, they straddle the precipice between. For them, this balance must be carefully cultivated so that they might wield and control the power of the staff Light’s Wrath in battle. Holy Priests embody the power of the divine and thus wield a true weapon of the Light: Tuure, Beacon of the Naaru. 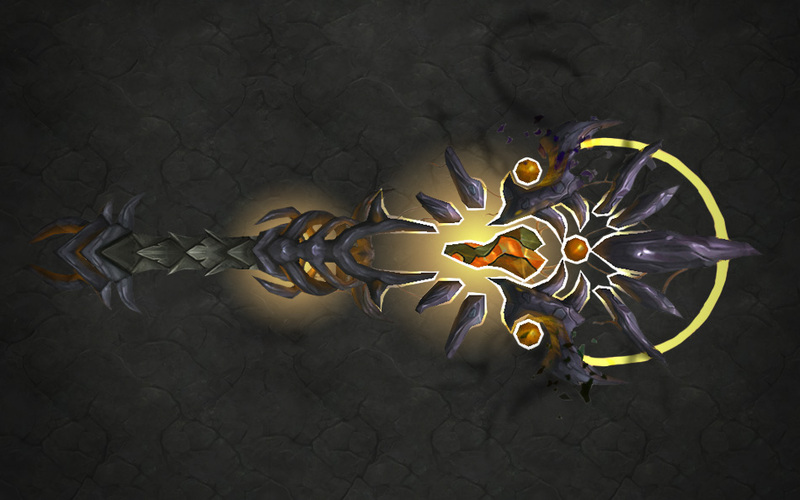 A weapon of this pedigree can be put to task to either heal allies or smite those who would stand against them. Practitioners in the ways of shadow will truly covet Xal'atath, Blade of the Black Empire as a part of their arsenal. 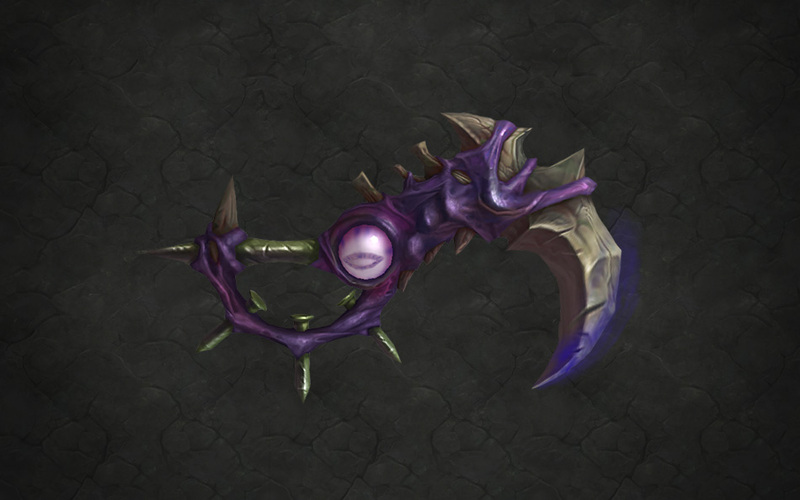 The Shadow Priests who wield this Void-honed blade will truly terrify their enemies and bend minds to their will. Each Artifact is a symbol of the might of the Priest that wields it. Names have power—learn those of these mythic weapons well, for they will be your constant companions against the deadliest foe you’ve faced yet. Obsessed with cleansing undead from the world of Azeroth, the fanatical Scarlet Crusade tried to create a second Ashbringer in the form of a staff. However, a dreadlord who had infiltrated the order intervened, interrupting their efforts and triggering a violent magical explosion. The damaged staff’s power proved nearly uncontrollable. After several wielders tried and failed to use the staff safely, the elite magi of the Kirin Tor hid it away lest it unleash further deadly calamities. As beings of Holy Light, the benevolent naaru rescued the draenei from their homeworld after most of its people were transformed into demonic recruits for the Burning Legion. Demons nearly overwhelmed the fleeing draenei, but the naaru protected the refugees with this beacon crystal. Tuure channels the Light's essence into healing radiance, regenerating horrific wounds and bringing people back from the brink of death. Ultimately the crystal was lost to Legion forces on an invaded world. It hasn't been seen since. This terrifying dagger was made from the claw of an Old God eons ago, and dark priests used it for ritual sacrifices during the height of the Black Empire. After the fall of the Old Gods, Xal'atath was hidden away by cults. It has surfaced from time to time over the course of history, inevitably associated with some horrific ritual or disaster. The blade has a will of its own: it uses powerful Void energies and mind magics to warp everything around it for some nefarious purpose.